Find Files Without Extension. 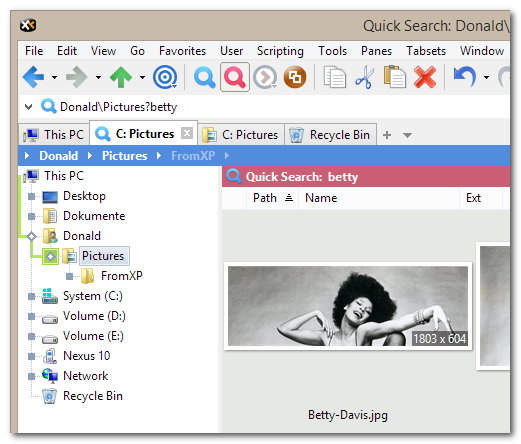 Searching for files with no extension? It's easy now. Simply search for *. (asterisk-dot). Or use e.g. a*. to search for extension-less files starting with "a". Toggle Quick Search. A new toolbar button provides a handy way to run the last search on and off in various locations. Dropdown Left. Now you can have the address bar's dropdown button on the left. Might reduce your mouse mileage. How To: Ctrl+Right-Click the dropdown button and toggle "Dropdown Button on the Left" in the popup menu. Photo Preview. 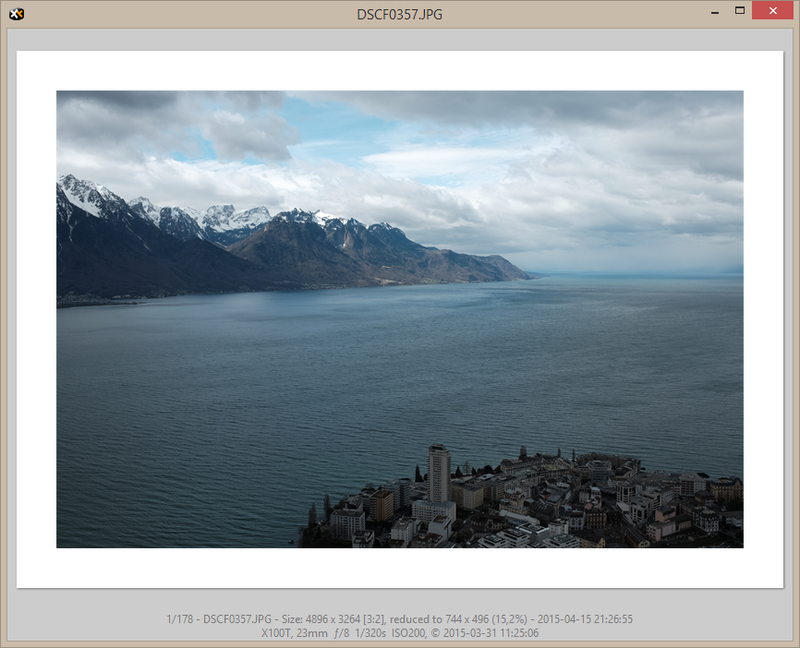 Now you can show basic photo data in the Floating Preview's status bar. Basic photo data are Camera Model, Focal length, F-Stop, Exposure Time, and ISO speed. You can toggle them in the extended context menu of the Floating Preview (F11). Select a photo, press F11 to open then Floating Preview, then Ctrl+Right-Click anywhere in the preview and click "Show Photo Data" in the popup menu. 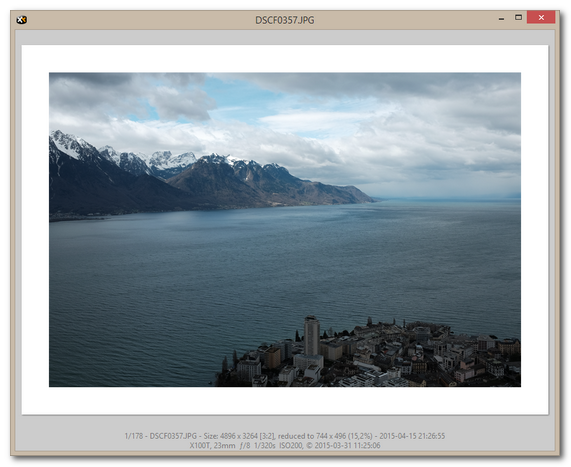 Photo data are available for JPEGs with EXIF data and all RAW (NEF, DNG, CRW, RAF, RAW etc.) formats that you have codecs for installed on your system. Load Speed. Major load speed increase compared to 15.00 and before.